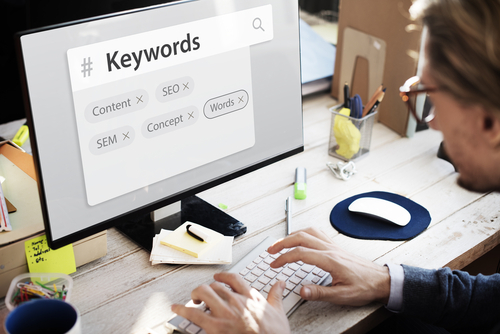 Keywords – they’re one of the cornerstones of marketing online (in fact, in the past month alone there has been as many as 10,000 searches for the term ‘keywords’ itself). So it seems you’re not alone in wondering what they are or if they’re important for your business. The answer to this question, is a resounding “Yup! They are essentialfor your business” – and in this blog we explain why. “the words and phrases that searchers enter into search engines, also called “search queries.” If you boil everything on your page — all the images, video, copy, etc. — down to a simple words and phrases, those are your primary keywords”. Keywords should form the foundation of your on-site and off-site content. All of which begins and ends with understanding your customer. While you may use certain sentences, words and terms to describe your services, your prospects may use entirely different ones. Unless you’re in a seriously uncompetitive, uncrowded marketplace, keyword research is almost always painstaking, and also involves continual analysis to keep track of any shifting patterns in searcher behaviour. Businesses that have a strong keyword in the business name rank 1.5 spots higher than if there is no keyword in the name. As of the last count, search engines accounting for the most traffic into websites, standing at 35% (compared to social networks, which drive 26%). So if you want traffic, you need an effective keyword plan. And when we say effective, we mean aiming for the top spots, effective, as 60% of all organic clicks go to the organic top 3 search results. What people search for changes overtime. Staying on top of these changes not only keeps your keyword strategy working as it should, it can in fact lead you to discovering new problems, opportunities and areas for innovation. 50% of search queries are four words or longer. And that’s because people aren’t typically searching for a certain product or service, they’re instead searching for a solution to the problem they face. So keywords can help you guide searchers into the correct area of your website for help (and then onwards to your products or services). You may be targeting a niche with your overall offering, or you might have a select number of products or services aimed at very specific people/businesses. Keywords are the tool to drive the right people, to the right places (and in the process, driving bounce rate down and driving conversions up). Want to talk about what SEO could and should be doing for your business in 2018? Call the team on 01953 852939 or send us a message via our contact page, and we’ll be right back in touch.